The roots of Resolute Forest Products took hold in the midst of the Industrial Revolution. Starting in 1820 and over the following two centuries, the company grew from 20 sawmills along the banks of the St. Lawrence River to the 40+ pulp, paper, wood products and tissue facilities we operate today in the United States, Canada and South Korea. A newly published book “Resolute Roots” follows the evolution of the company and the pioneers who built it, through two world wars and numerous technological revolutions. Written by author Martin Fairbank, a former Resolute employee, the book tells the story of Resolute’s family tree, which includes names such as Abitibi, Consolidated Bathurst, Canadian International Paper, Bowater, Ontario Paper, Donohue and Price – and celebrates the building of the Mersey, Alma, Kénogami, Murray Bay, Thorold and Gatineau mills, along with numerous other facilities. For more information on the deep roots and rich history of Resolute and its predecessors, you can purchase Resolute Roots by clicking here. We’ll be publishing brief excerpts from the book over the next few weeks under the Resolute Roots tag. 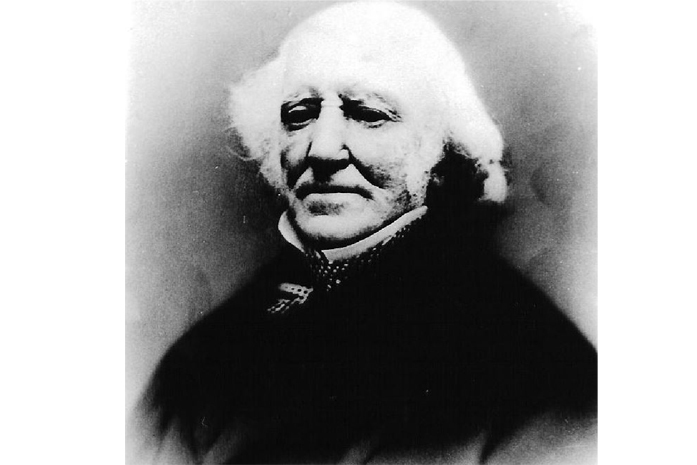 The oldest of Resolute’s predecessor companies was founded by William Price, who immigrated to Canada from England in 1810 and established the William Price Company in 1820 with three other investors. Its main business was the exporting of lumber to Great Britain for shipbuilding. The profits from this business were gradually reinvested in sawmills. By 1849, Price sawmills were producing about half of the total output of planks in all the mills downstream of Québec City. By 1860, there were more than 20 Price sawmills in operation along the St. Lawrence River. When he died in 1867, William Price’s gravestone in Chicoutimi was inscribed “le Père du Saguenay” (the father of the Saguenay region). The company was then operated by his sons David, William and John, who renamed the William Price Company to Price Brothers and Company. In 1899, the company passed into the hands of a nephew, William Price the third. This William Price was born in 1867 in Chile and spent his early childhood there, where his father was a cattle breeder. When he was about five years old, his parents sent him to Canada, where he was educated first at Bishop’s College, in Lennoxville (Quebec) and later in Windsor, England. His classmates nicknamed him “Chile Price”. At this point, Price turned to the pulp and paper sector, starting a pulp mill in Jonquière (Quebec) in 1900. It produced 18 tons of groundwood pulp per day, which was used to manufacture cardboard. In 1902, Price formed a joint venture in Saint-Germain-de-Rimouski, creating the Price-Porritt Pulp and Paper Company. This facility produced mechanical pulp and cardboard and remained in operation until 1927. In 1911, Price Brothers began building a new paper mill at Kénogami (Quebec). This mill manufactured 150 tons of newsprint per day from the time it went into production in December 1912. Today, the Kénogami mill produces about 375 tons per day of supercalendered paper. During World War I, William Price entered military service. He was put in charge of organizing a camp at Valcartier, near Québec City, to hold troops until they could embark for Europe by ship. His efforts were rewarded with a knighthood. The next big project at Price Brothers was the construction of a hydroelectric station at the outlet of Lac-Saint-Jean to supply power for a new pulp and paper mill they planned to build on land that would later become the town of Riverbend (now Alma). The plant went into production in 1925. Today, the Alma mill produces nearly 1000 short tons of specialty papers per day. Tragically, Sir William Price died in an accident in the lumber yard at the Kénogami mill on October 2, 1924. While examining a hole left by a cave-in, he was swept, with two engineers, into the Rivière-aux-Sables by a landslide. His sons John Herbert and Arthur Clifford, who were both in their early twenties, succeeded him at the helm of Price Brothers. If you would like to learn more about the history of Resolute Forest Products and its predecessors, the recently published Resolute Roots is available here.